 Home - Royal Automotive, LLC. "You never want to have to go see a body shop, but when you do, you want them to be like these guys. After my car was keyed and its side mirror bashed, my fiancé took it to the closest shop, which happened to be Royal. Turns out they were an authorized repair shop for State Farm, my insurance, so all repairs were guaranteed for life. That plus how nice the staff and facility were why we chose Royal initially." "I brought in my challenger in for repairs after a car accident my front end and some of my passenger side was damaged totaled at least 5 grand in damages they kept my car for about 10 days to make sure everything was perfect gave me a warranty on the work performed my car looked the same as the day It came of the truck from the dealer everyone was so nice and helpful suh is so awesome." "I don't know where to start with this review. I was taken away by their great customer service. Initially, I was afraid to leave my car at any body shop because just like a parent leaving their child for their first day of school, I was afraid of anything happening to it. I took my 2008 mustang to have some work done to the front and rear bumper. After getting updated throughout the whole process."